The CIA is facing an unknown enemy. His genius: the ability to steal prototype weapons with unimaginable destructive powers, and leave no trace of their whereabouts. The weapons never appear on any black market. They're never used to wage a battle on US soil. And they're never sold to foreign agents. It's as if they simply vanish. But a top-secret CIA operation is one step ahead of the game. They know the next target. A company in Texas has developed a military combat uniform that renders a soldier virtually invisible. Optical camouflage offers limitless possibilities --and no one knows that better than CIA operative Steve Conway. But as Conway and his team set the trap for the elusive thief, things go terribly wrong. 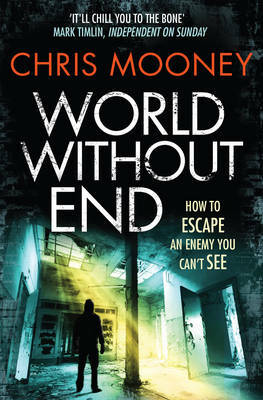 A hair-raising blend of mystery, manhunt and terror, World Without Endis an electrifying, page-turning novel of suspense by an author destined to join the ranks of the masters.